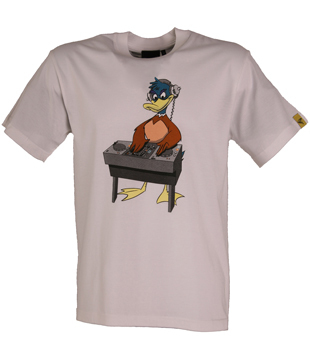 Twisted Beak duck djing print. Twisted Beak name and logo on reverse. Twisted Beak arm label. Custom back neck label. 100% soft cotton.